Chain link fencing is an attractive, versatile, creative fence option that will give you years of protection, and value. Chain link fencing comes in a variety of qualities, colors and sizes: contact us and we will be glad to help you get the most value for your money and the right fence for your needs. 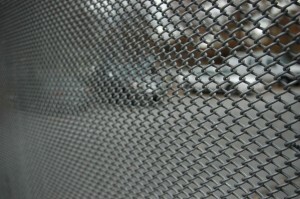 Galvanized fence systems are available in a wide variety of wire sizes, meshes and heights. All fabric, post, rails and structural components are galvanized (zinc coated) for long life. 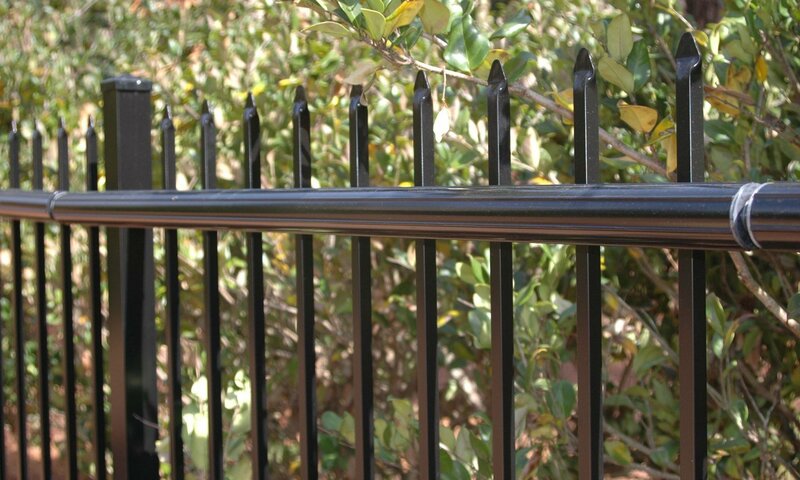 Zinc’s natural protective properties protect the steel to give you a fence that is strong and corrosion resistant. 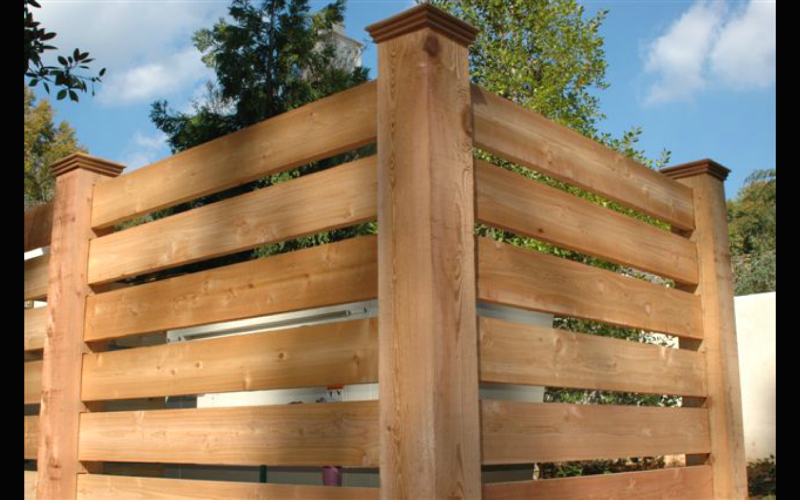 Vinyl coated fencing is quickly becoming the first choice for fencing environments where beauty is as important as strength and long service life. There are many advantages to the PVC Color Systems. The special manufacturing process produces a coating that remains rust and corrosion resistant as well as attractive and secure for many years. 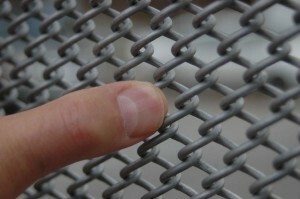 In Atlanta, black is the most popular color for vinyl chain link. 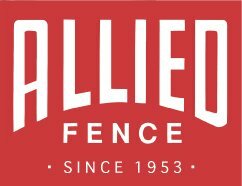 At Allied Fence Co., we offer “.105 core” steel inside our fabric. This is more than 25% stronger than what is offered by others. Color coated chain link is available in three color variations to blend with your environmental requirements: black, brown and green. 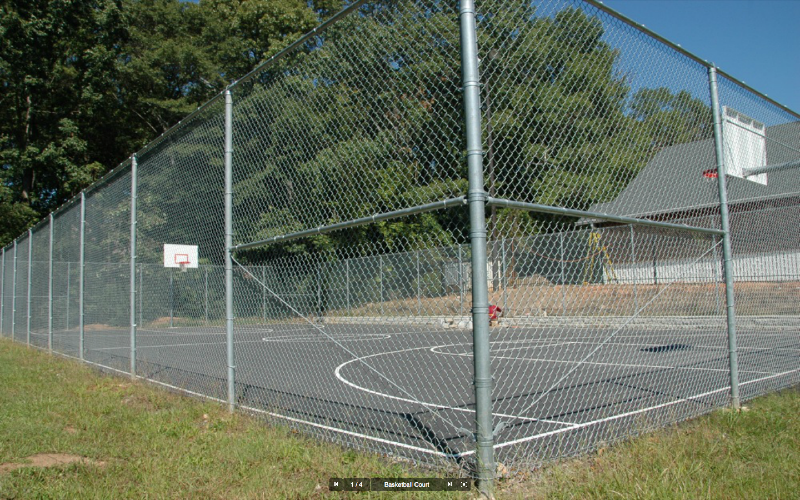 When maximum security and protection are required, Chain Link Mini Mesh fencing is the perfect solution. Because of the very tight spacing of the wire, it is extremely difficult to cut the wire or to get a foothold to climb it. Mini Mesh is specified for use on high security prison installations, highways and bridges, heavy industry, state and federal agencies, power plants and other places where it is important that fences cannot be climbed or breached. Mini Mesh is available in sizes ranging from 3/8″ to 1″ openings. Mini Mesh is also available in black vinyl. 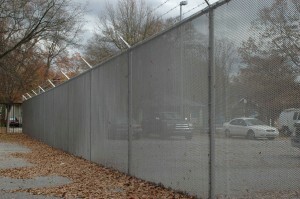 This high security installation utilizes 3/8″ mesh, 11 gauge aluminized chain link that is 8 ft tall plus barbed wire. 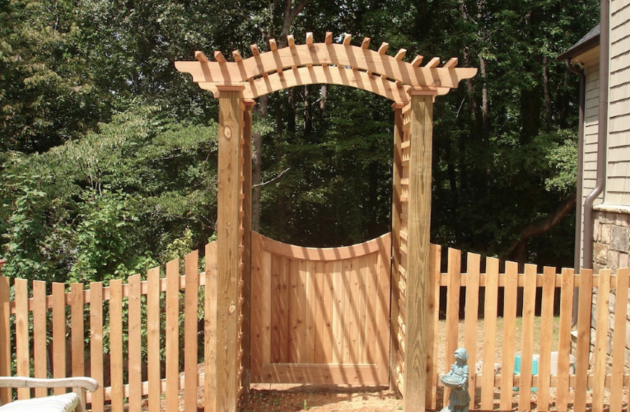 This is among the strongest and most secure fences built by Allied Fence Co. 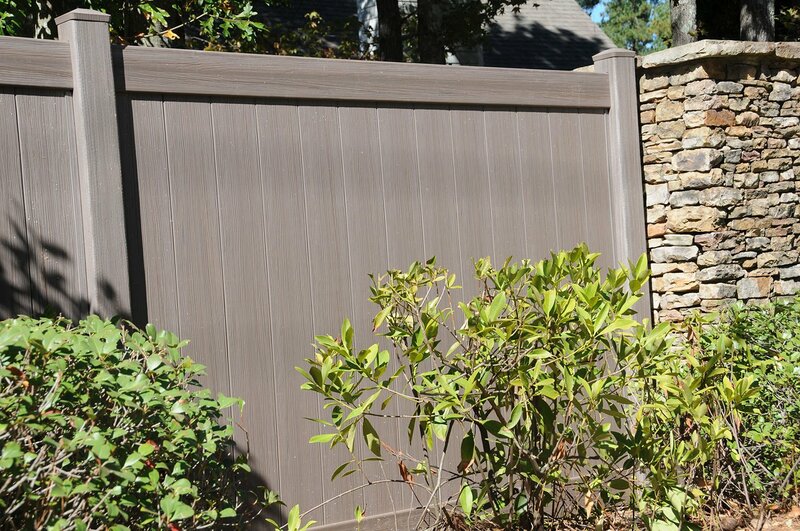 Ask us about our new Coyote Proection Fencing! 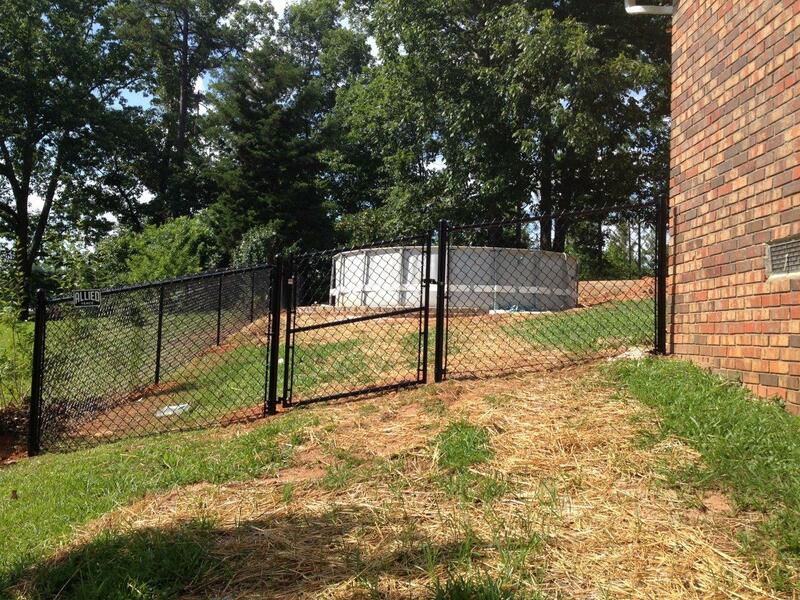 Call 770.944.1501 or email info@alliedfence.com for details.